‘So much to do; so little time’, as the saying sort of goes when it comes to a day out in Torrevieja. However, thanks to the comfortable little motor from Coys Rent A Car, nothing is too far away and so our stop of the day was to visit with Jean Paul Murelo, the Director of Torrevieja’s Foreign Residents who has his office in the new Department of Tourism. The office is the former Miramar Restaurant, located beside the RCNT, Real Club Náutico Torrevieja, and his office offers spectacular views of the yachts in the harbour. After a ‘relaxing cup of café con leche’ in the RCNT, it was time to nip across the road to the historic Cultural Casino to speak with local historian and writer Andy Ormiston. Andy is very well known around town for his many years of charitable work and especially organising charity variety shows, many of which were supported by his talented, award winning singer songwriter; Shani. 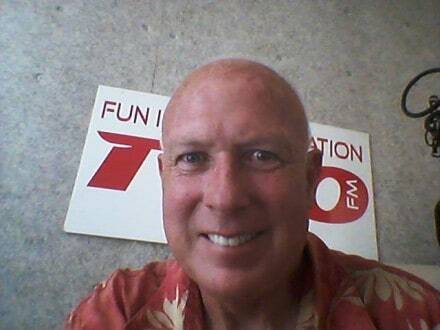 Andy not only wrote the definitive guide in English about the history of Torrevieja up to the 20th Century, but each year has been producing a Charity Calendar, which is given to local Charities and NGOs, to help with their fundraising efforts. 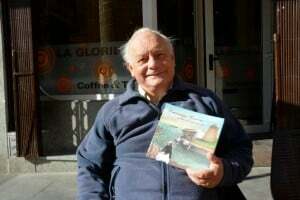 Lately he’s been laid low due to a few mobility problems and so to pass away a few idle moments, he has started his own on-line magazine, ‘Torrevieja Outlook’, which is well worth a read, especially to find out more about local personalities, the history of the region plus local fiestas and festivals. Former Director of Foreign Residents Office, Graham Knight is also readying himself for the start of the Semana Santa Easter processions. As it enters its eleventh year, Graham resumes his role as Godfather for the Paseo, hammer in hand, as he controls 100 strong men carrying the Throne, ‘Jesus in the Garden of Olives’ around the streets of Torrevieja. 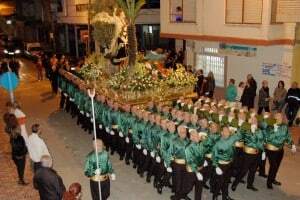 Weighing about a ton, the men in green, ‘Los Costaleros’ carry twice over Easter; the first Monday and the main procession on Good Friday and it’s something that should not be missed. With at least 320 days of sunshine annually, and typical winter temperatures around 20c, it’s no wonder that the Vega Baja area is seeing more and more film and television companies bringing their productions to the area. Spain’s very first Crowdfunded film, Operasiones Espesiales, a Spanish Comedy directed by Paco Soto, has been very well received in the Spanish film industry. As a first effort, although they didn’t win anything, they were nominated for 14 Goya awards. 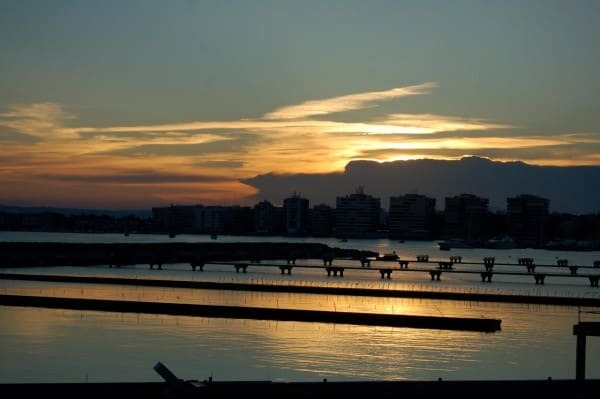 Two other productions are presently filming in and around Torrevieja. Last September the cameras stated rolling on The Cucarcaha Club, starring Billie Anthony Gaddess, Tom Watt (probably best known as Lofty in EastEnders), Chloe Leigh, Yvonne Haughton with supporting cast from father and son duo, Keith and Brandon Nicol plus a cast of ‘hundreds’. It’s a spy caper about a group of former secret agents who come out of retirement to look for kidnapped children. The production is due to wrap in March and be ready for distribution before the end of the year. 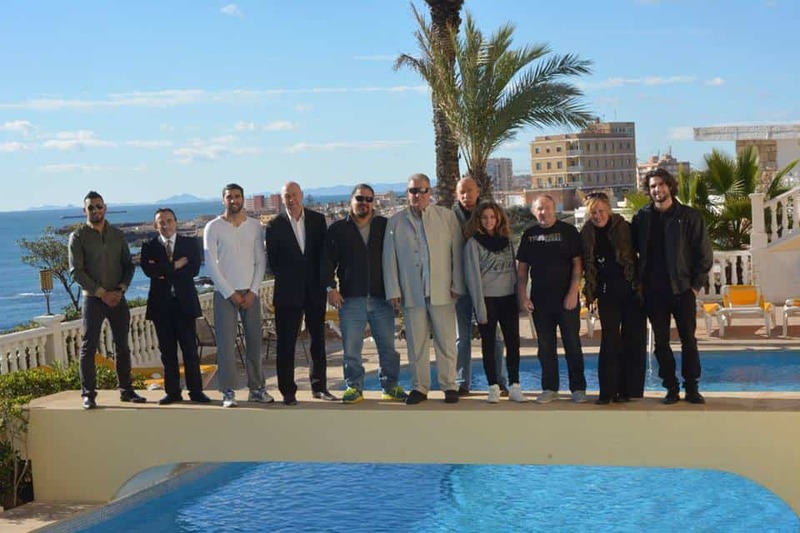 Having filmed the majority of the film in Scotland, former World Kickboxing Champion, actor, stuntman, writer and director Bill Little is wrapping up his new film on the Costa Blanca. Called Trained to Kill, it features Chris Capaldi in the lead of this action adventure. 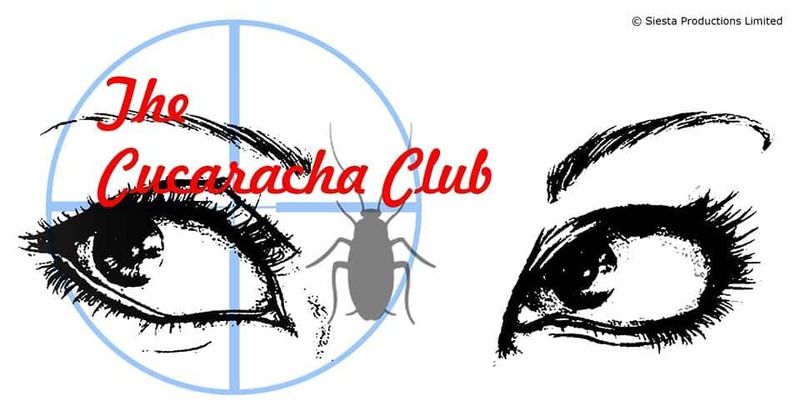 With the exception of those kept busy on The Cucaracha Club, Trained to Kill features a great cast of local actors including the OXO dad himself, Michael Redfern, three time and present lightweight Spanish Boxing Champion Emiliano Casal, local raconteur Charlie Breaker, and entertainer Tony Capaldi, among a dozen others. 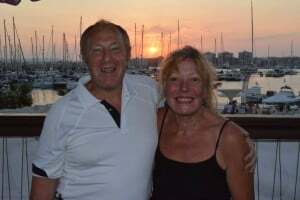 It’s Bill’s first film experience in Spain and he and his partner, producer Hazel are loving the winter weather and life on the Costas. On regular occasions, Channel 4’s ‘A Place in the Sun’ TV show, film segments of their programme here. Last year, local Real Estate Agents Marsol Internacional and International Manager Eva Tejedor, returned the favour and took a stand at their London Olympia show. In March, Peter and Anne from Puro Properties are heading over to the new Manchester ‘A Place in the Sun Show’ on March 13th to 15th, and anyone thinking of visiting the show should contact Peter as he has a number of free tickets on offer, plus a glass of cava, for show visitors. There are also plenty of newspapers and magazines to read plus many clubs and associations to keep even the most fidgety occupied, and tomorrow, after a good night’s sleep, it’s back in my Coys’ car and off to find out more about what makes Torrevieja tick.